Re: Mayhem at Wicksteed 2016!!! Cool, I'll bring some meaty goodness. I am disappointed in the apparent lack of inclusion of new faces to this thread. "It is on a need to know basis.... for campers" and then the comment about the grass parking areas is written by some one with knowledge of the Park. Klunk if you are a stranger to the Park and Event who has issues walking ground conditions / surfaces can be an issue that ma make or break a visit. You say the are trolleys etc just ask for help etc. Sometimes folks with challenges wish to be independent, to do it on their own, while others will be pleased of the help. MAybe you guys should get the blinkers off and embrace the whole community and not just the BBQ ing Campers . Sorry if this sounds grumpy or off hand but I do not feel welcomed at all!! Not the level playing field I have come to know from modellers everywhere else. I do not think there is any intention of excluding anyone. Access at Wicksteed is very good. You can drive right down to within about 50 metres of the lake. The parking area is indeed grass but very flat and well maintained and does not tend to get muddy. There are smooth paths from there to the lakeside which has bench seating and a couple of fixed picnic tables with seating. I am sure you will receive a warm welcome should you decide to attend. The paths are level and flat for what grassed areas can be, the concrete path around the lake is as flat as you are going to get from those who laid it 15 years ago, and the front row of the grassed car park we use is generally given to those with walking issues. The BBQ is a big event for some, me included, and it will talked about more than some subjects. 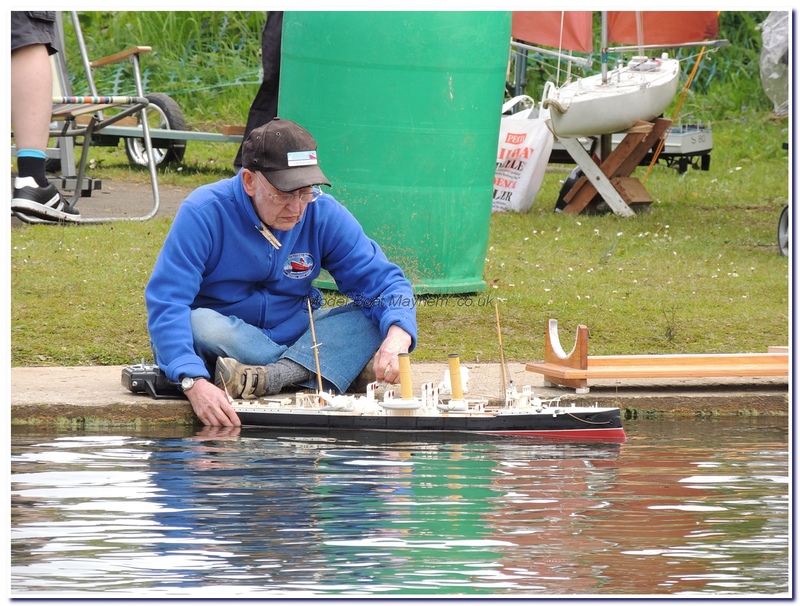 If you view previous years of the show you will see it's a bring a boat and sail it event with a few planned events in between the free sailing. 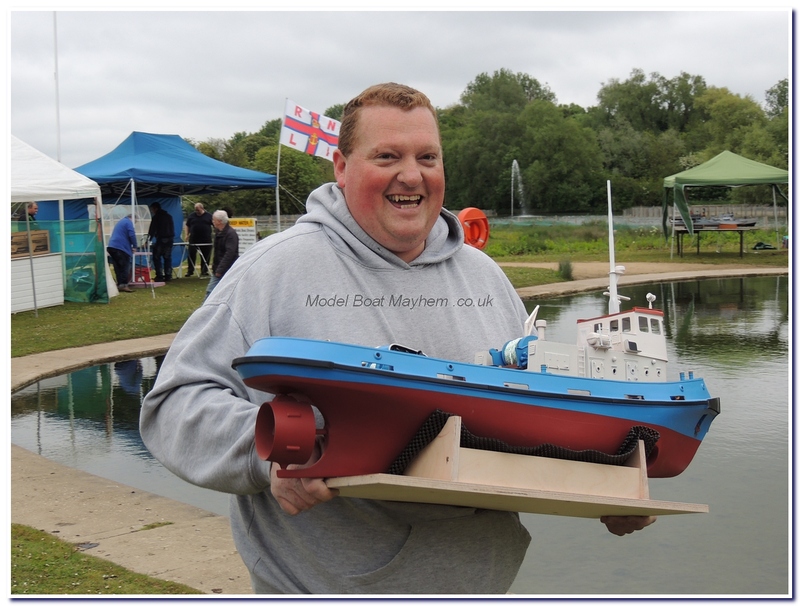 Models will be on show in the respective club tents/gazebos and we have two traders attending, Deans Marine and Linkspan Models. Help! The penguins have stolen my sanity, and my hot water bottle! Mayhem at Wicksteed is a fun 'come sail your Boat’ weekend for blokes and their families. You've spent all that time building it... put it on the water! We're situated down on the left hand side of the park, follow signs to "Mayhem Event" or "Camping field". Parking in about 40 yards from the lake on a grass field. There are usually a couple of trolleys around to haul your stuff to the lake side. 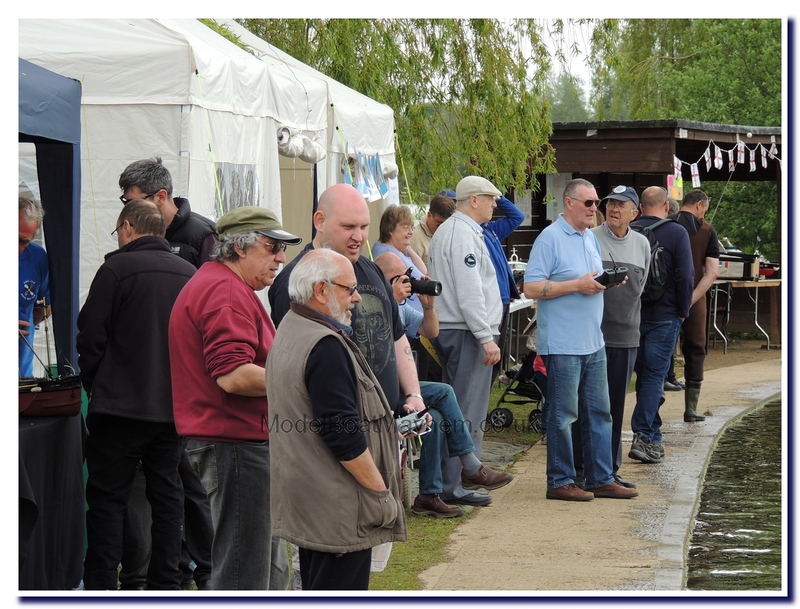 You are welcome to set up your own gazebo lakeside, personal, club or Trader Free of Fee! It mostly free sailing with some demonstration events, e.g. Straight running, Warships, yachts, Springers, etc. Most people are on 2.4Gig these days but there is a Frequency board for 27 & 40Mhz. Best of all, Free TEA & COFFEE all weekend ….. if I can persuade Mrs & Little Miss Mayhem to do the honours again! The whole event was conceived to get us of the internet, away from the workbench, off our collective arses and go sail our boats and actually come meet with one another! It has always been a well humoured events, one of the best laughs I have all year. …. we’ll even pull your car out of the lake if needs be! There’s more to this weekend than the BBQ although from reading the thread you would be forgiven for gaining the impression that this was the highlight. (It may be for some.) However, at the lake there is no clique and I have found everyone friendly and helpful. I have attended all but one of the events and had a thoroughly good time on each occasion although I have never attended the BBQ ( I agree with Martin on tents and caravans.) Come with an open mind and enjoy yourself. On a side not perhaps we should have a separate page on parking and the basic layout of the park for those only attending on the day. Maybe with pictures to show the car park area and the lakeside. You know I have walked round that lake loads of times and always thought it was oval in shape! Also the picture is quite old. Look to the right and the new amphi theater is not even under construction plus look in the camping field and the new ablutions block has not been built! That puts the pic at 5 plus years old. Not that it's a problem as the park has improved since then! Especially down to the model lake as the new pic above proves. I like the look of the kart track! Cheers martin, I hated that picture!!! I read the last few posts on this thread about new people turning up and Comments about being unwelcome etc. we all go to have a laugh and Enjoy ourselves. As part of the Scottish contingent we easily get caught up talking to friends we haven't seen sine the year before so if you turn up introduce yourself and talk to people don't stand in the corner watching just say hello. this is local to me, if i bring along a couple of boats with electrical problems anybody have time to look at them with me and give me some guidance. also any club 500 racing on the day ? i have a couple of boats i could put in . come along and we will all look at your problems......we always take the mickey BUT we ALWAYS help. club 500 can go on the lake anytime, walk around and find a few other 500's and im sure you can have a race! or alternatively explain the problem on here and we can try to sort it out now!! This is what Wicksteed is all about! 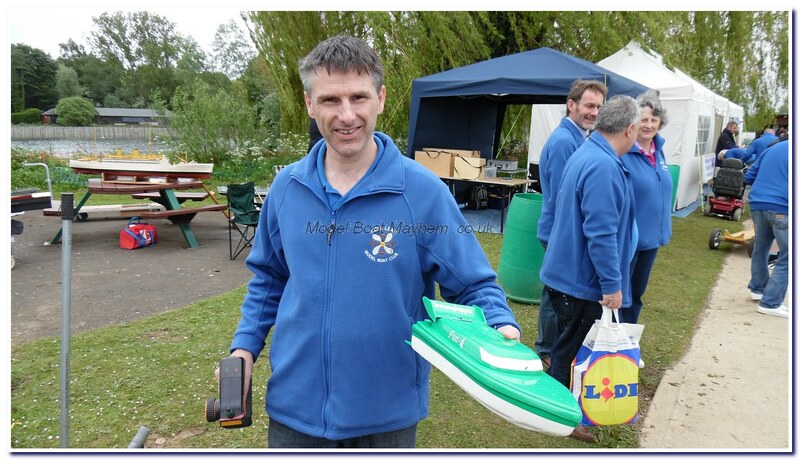 Lidl - not a sponsor. with apologies to Simon and Garfunkel.